A-4 Brochures - double sided available. A .pdf version (2 page) is available. 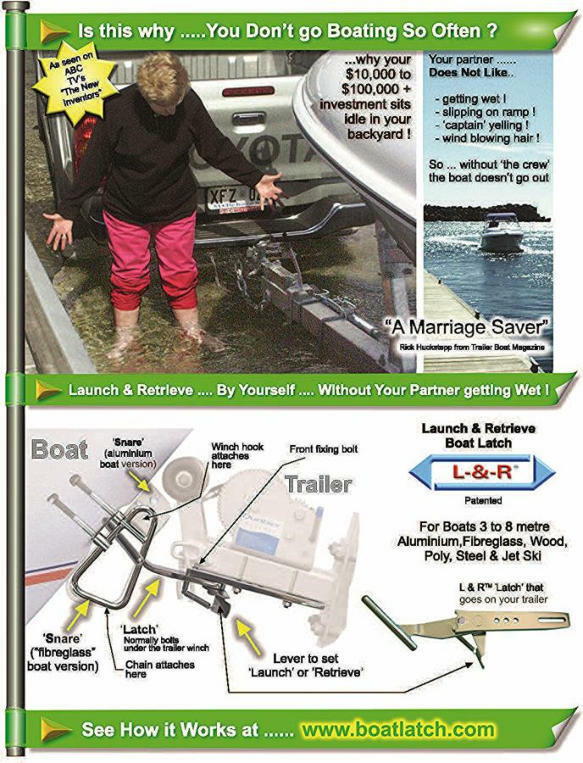 Winch Brochure - 1 page version A 7 page .pdf version. 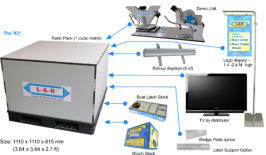 This is the display and demonstration stand - used mainly for Trade Shows. The whole stand comes in a cubic meter box with a pallet base. This contains the demo unit, room for a TV, roll-up displays and stock. It does not require a booth and can be placed amongst the boat display area. This is a DVD video showing the product in use, sections of which appear on this website. Here is a small advert 180 x 35 mm If you want to advertise then we can set one up for you with your name, company and contact details. A 6 page ‘Using Your L & R Boat Latch’ is available in each product box. An electronic .pdf version is available. A folded, 3 page (double sided) version is also available for dealers. GIF file…475 x 68 ….23K …… 15 secs. A-4 Brochures - double sided available An electronic .pdf version. Winch Brochure - 1 page A 7 page .pdf version. Magnetic Sign for rear tailgate or side doors Size 210 x 645 mm. Note the phone number will be a blank white space - you will need to manually insert your own number. 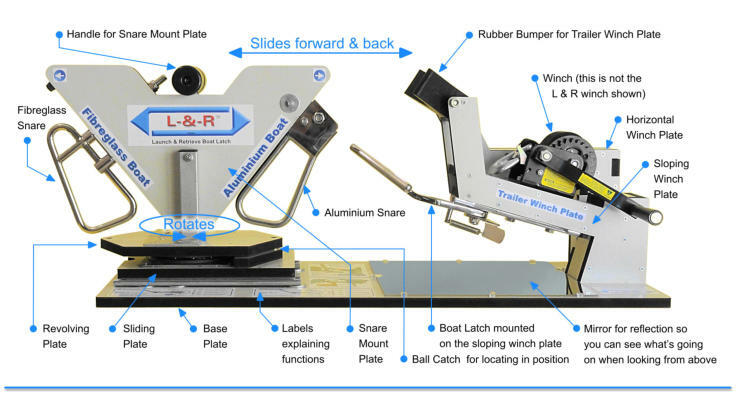 A 6 page ‘Using Your L & R Boat Latch’ is available in each product box. A .pdf version is available A folded, 3 page (double sided) version is also available for dealers.